On 12 May 2015, the Centre was delighted to welcome Dr Michael Brennan (Trinity College, Dublin) to discuss ‘Interlace and the early art of Scotland’. Below is this listener’s brief summary of the lecture. Dr Brennan adopted an ‘artist-centric’ and mathematical perspective towards interlace in a lecture that featured close analysis of images and ad hoc freehand drawings by the speaker. Artists and craftsmen from the early-medieval period were not beholden to any one form of interlace and swapped between plaitwork and broken plaitwork at will, sometimes within the same panel design. Uniformity in design was rare – unpredictability was ‘the name of the game’. Some designs could appear erratic, with ‘extra loops’ and ‘loose ends’ found in knotwork, as shown in the Rogart brooch (below). 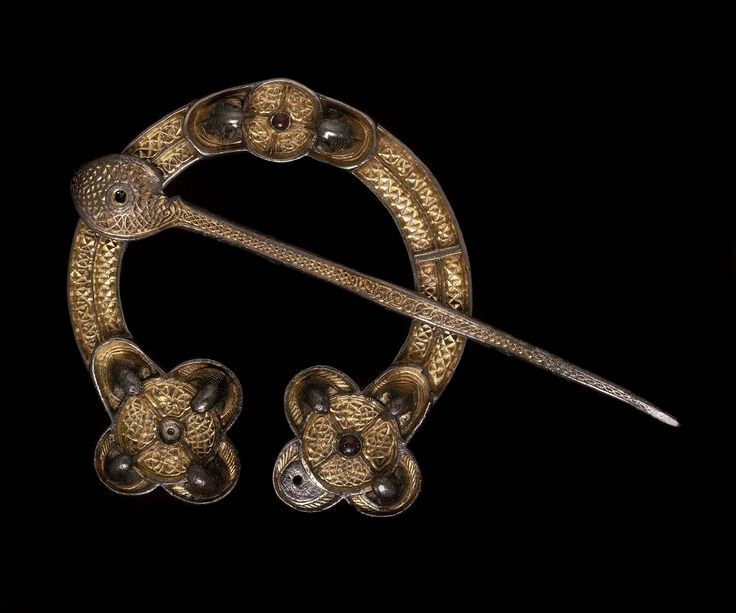 On the famous Hunterston brooch, made in the ‘Irish style’ in the 8th century, the artist used both mirror symmetry and rotational symmetry in panel designs. There is no evidence for formalization of all the available symmetry types, but there was certainly exploitation and experimentation. Craftsmen may have flexed their intellectual muscles by swapping interlace puzzles and challenges. Many of these individuals would have been highly intelligent, but had missed out on formal education. This seminar concluded our series for the academic year. We will return with a new series in September.